After hearing tales of an 'Armenian Switzerland', we were compelled to visit the Dilijan National Park, a fast becoming go-to hiking destination. 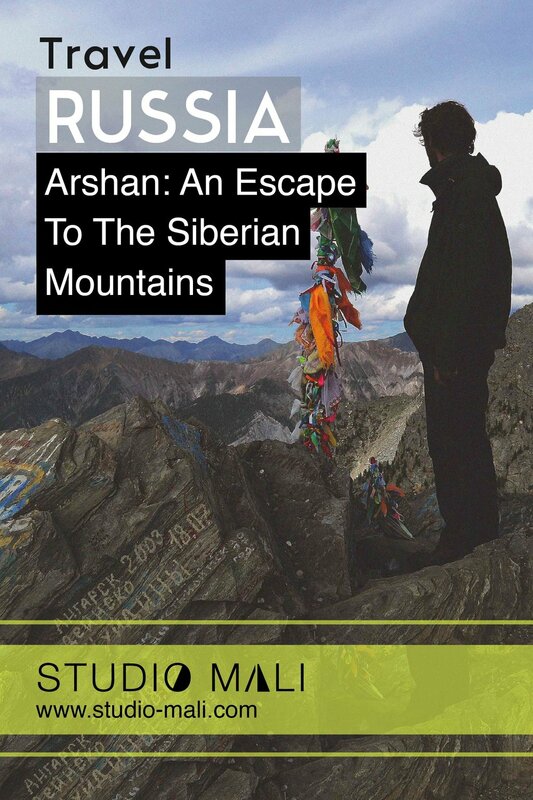 It would soon join up with the epic trans-Caucasus trekking routes (TCT), linking up with trails in both Georgia and Azerbaijan. 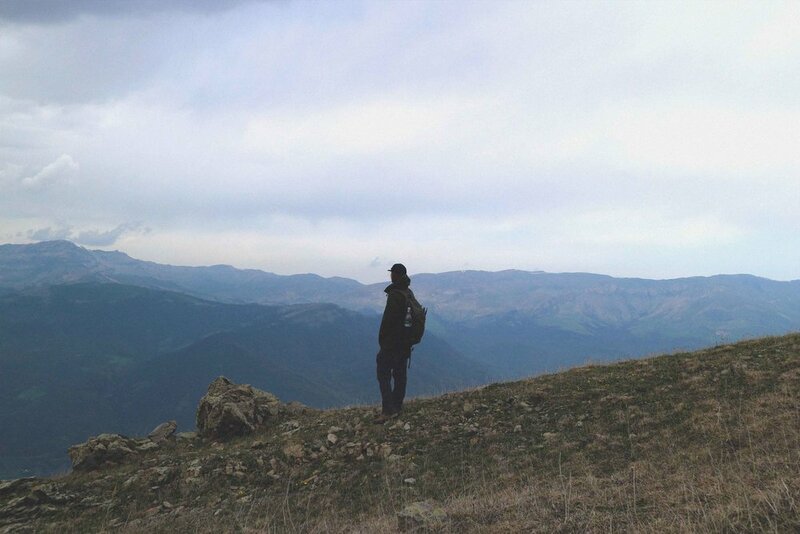 The plan, to create a network of hiking trails that boot-clad walkers can use to traverse the beautiful Armenian landscapes of the Caucasus. Clearly, it's an awesome idea and one day it'll be great but the Armenian section of the TCT, as of summer 2018, isn't really finished. 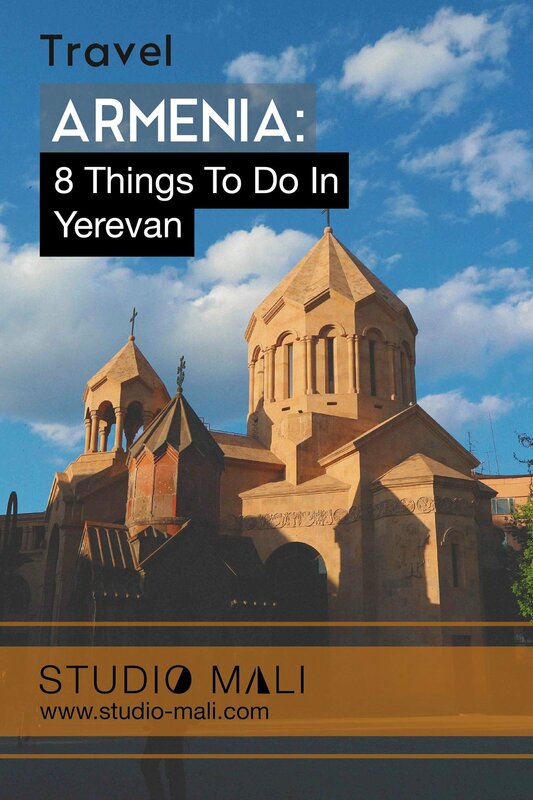 There's plenty of literature written on the developed Georgian and Azerbaijani sections but at the time of writing, the Armenian part of the trail has some way to go before it will become a tourist friendly, easily accessible and properly signed trail of the TCT. That said, it's a beautiful place and with a sense of adventure there's fun times to be had in Armenia's best known National Park. 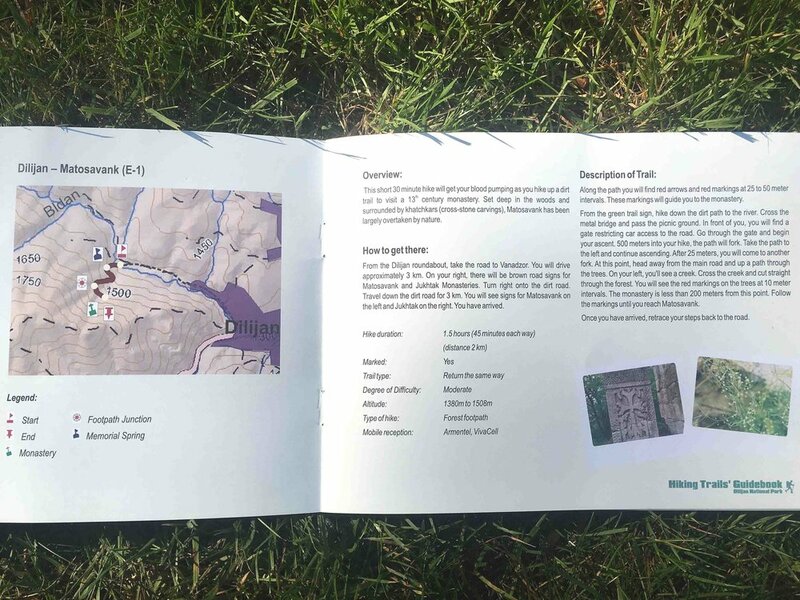 A week before we boarded a marshutka (minivan) to Dilijan, we found a USAID sponsored booklet with 11 Dilijan walking trails in, the book was hidden in our Yerevan hostel! 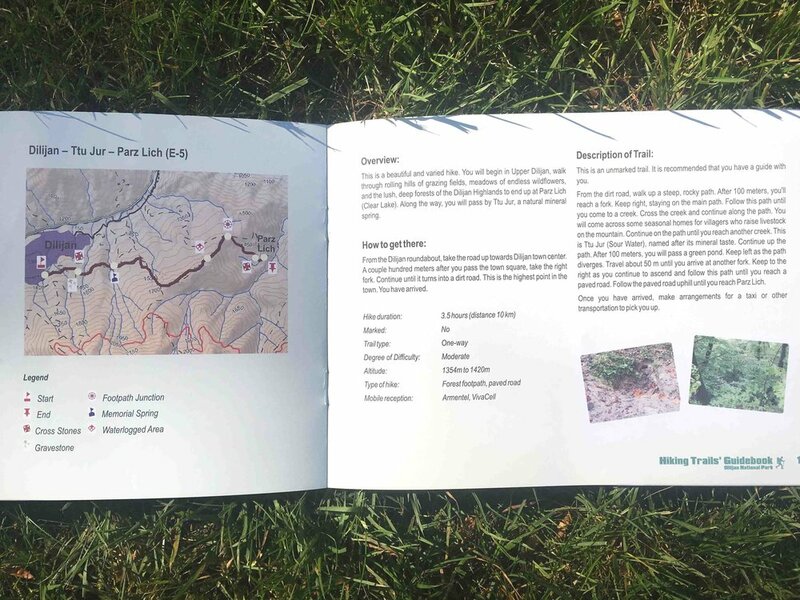 Upon closer inspection it became clear that the guide was a pretty basic resource with unreadable maps and long prose of text to describe the trails. We assumed the resources were one of many medias that hikers’ could use to navigate the national park. 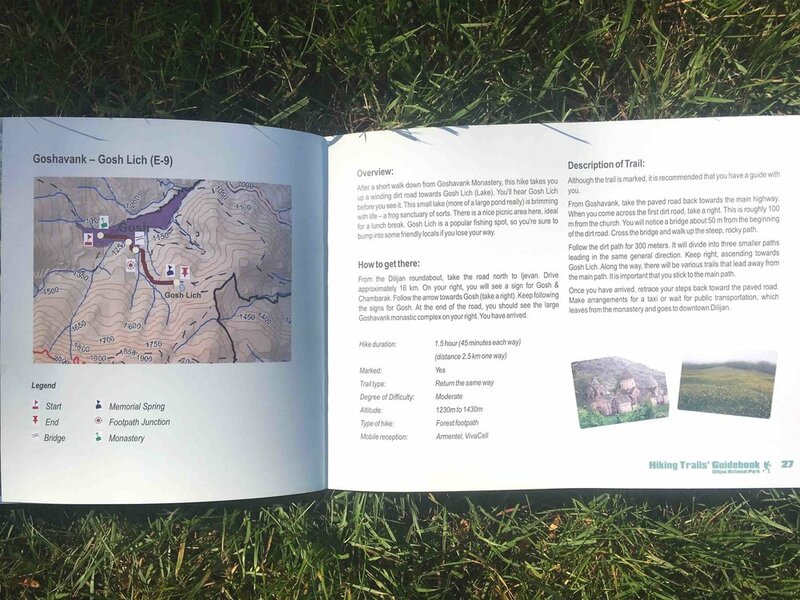 Unfortunately not, the booklet is the only resource available to hikers who want to explore the National Park, the one we found under a bed in a hostel. 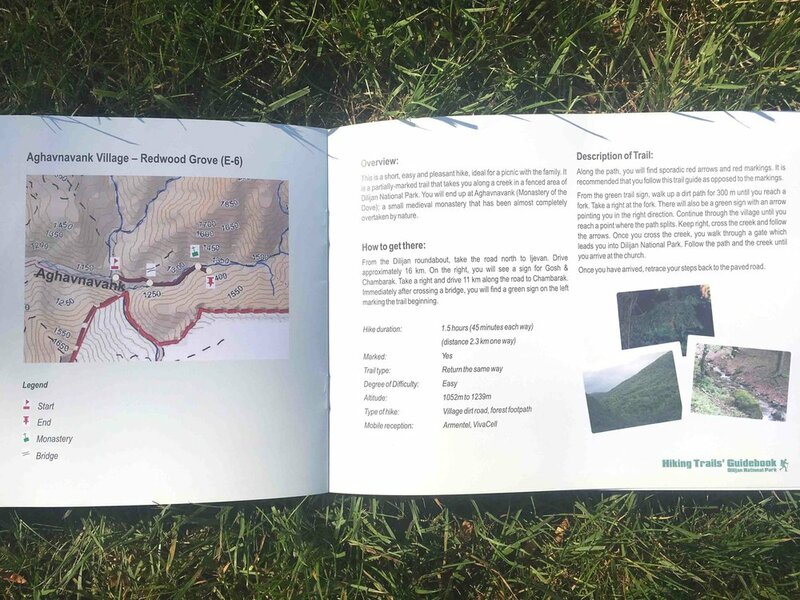 Before trying to follow any of the trails, we checked in with tourist information in Dilijan and they certified that the booklet that we had accidentally found, was the only guide available to tourists. They didn’t even seem to have any copies of the booklet at the information centre, so it was pure luck we discovered it. What I’m trying to say is that there is very little administration or organisation of the nature reserve right now. We sense that an adventurer's spirit would be necessary to enjoy the hikes, we weren't wrong either. So, we attempted two of the walks from the booklet, which we’ll talk you through below, and found one to be a short warm-up hike from Dilijan centre and the second a long loop from the old town of Dilijan up to the highest mountain peak in the area and back into town. 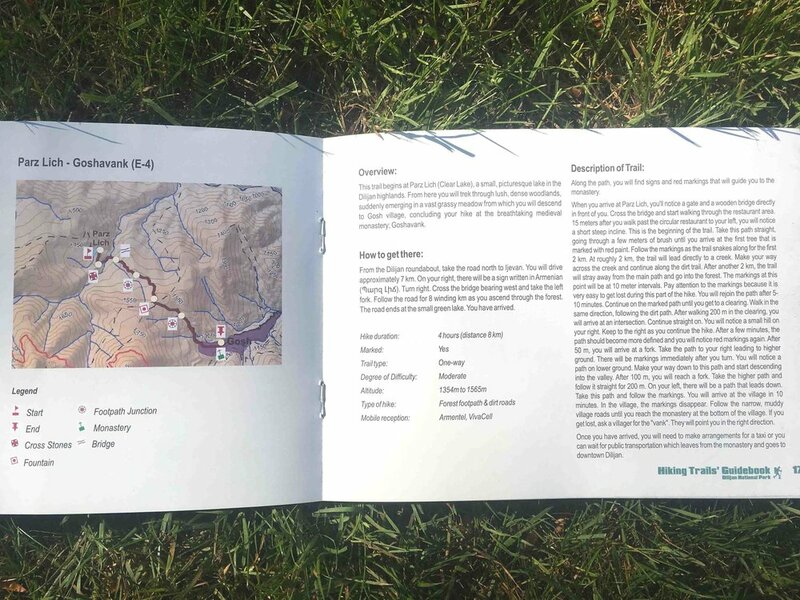 There are many other routes in the booklet but they all include taxi drop-offs and pickups, I personally hate having to drive somewhere to start a hike, it goes against my whole ethos of walking in nature, so we avoided any routes that included driving. 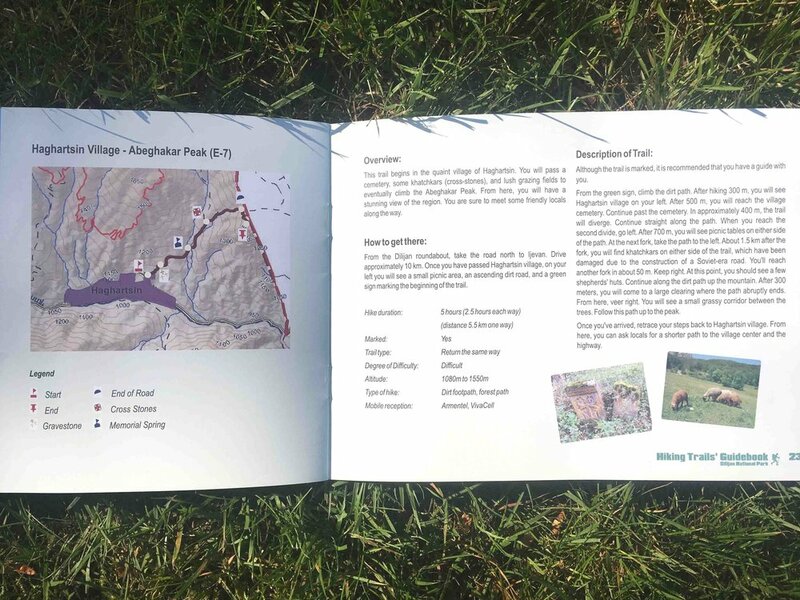 The remaining 9 hikes routes have been photographed and displayed at the bottom of the post. The main tip given by our Airbnb host was not to walk in the woods at night because packs of wolves have been known to roam, apparently they can be heard in the evenings too! Fun but a little concerning if you're out there wild camping. We read there were many bears in the reserve but local people believe that they live much further in the forest. Take enough water because once you hit the nature reserve you won’t find any shops. As always, pack for wind, rain and shine. Pack lunch for walk 2 because you’ll be out all day. Description: What makes this an interesting walk is that it leads you along a disused train line, defunct power station and generally tired ex-Soviet warehouses that are ripe for some exploring. The path goes upstream aside a river becoming a standard up and down hike where the path can be hard to follow. It’s worth noting that there are two sections where you’ll need to clamber up wet rocks. This is a bit slippery and there is a risk of putting a foot into the stream (see picture below). We would only recommend this section for physically fit hikers. If you don’t fancy a potentially wet climb then you wouldn’t miss much by heading back to Dilijan at the first slippery rocks. The hike will start from the roundabout where you’ll need to head north on the road leading to Ijevan but don’t worry you’ll soon be on a green, albeit industrial, train line with the sound of the road just a faint hum. 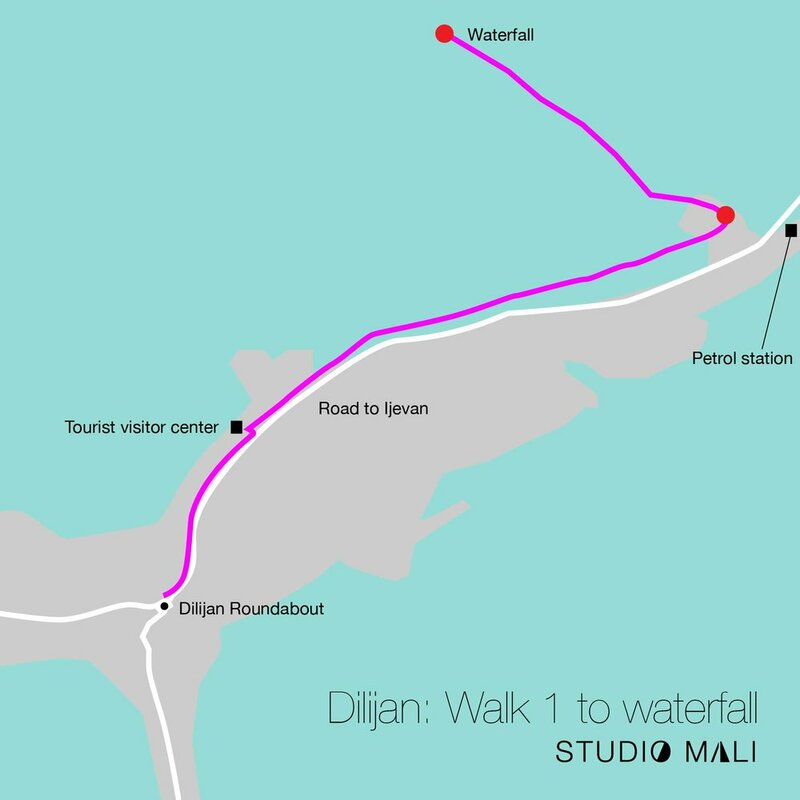 Follow the road from the roundabout for about 0.8 km until you see the sign for the Dilijan tourist information centre where you can pop in for a chat. When you’re finished head the opposite way up a small track (walking away from town) where you’ll see the train line running alongside the base of the nature reserve on your left. Follow the track for 1.5 km, remember to enjoy the disused soviet train buildings and power station, until you spot a petrol station on the road below. Look left, you will see a path and some nondescript signage running along a stream, follow that stream. When we walked the route in April 2018 it wasn’t clearly signed, just some labels on the trees. As more people walk the route I’m sure it will be better trodden. You may need to create your own path at times by walking through medium length grasses, always following the river upwards. Early on the river will split, take the left-hand stream. Remember to carefully ascend the two sets of slippery rocks that the river runs down, you’ll need to carefully climb up the rocks, this is where your waterproof boots are necessary! You might be able to climb over the sides but these look steep and just as treacherous. After 1.5 km you’ll approach a sign that symbols the end of the walk and you’ll set eyes on the smallest waterfall ever! Enjoy the serene overflowing flora and head back to town for some fresh matnakash (bread) and butter with a glass of the local red. Supplies: Bring food and water for whole day trek, this can be bought from Old Dilijan as you pass through in the morning. Description: The official guide supplies the most awful description on how to get there, I can only assume it was intended for driving because it was the longest possible way to get to the start of the walk. Use our simplified route below or Maps.Me to navigate the many upward roads out of Old Dilijan (or Upper Dilijan) to start off the hike. This walk is great, passing through farmland, streams, forest, open plains and mountains. It’s a long, and at times tiring, hike that leads you through some beautiful landscapes right to the highest mountain in the area. We didn’t see a single soul the entire walk, which was pretty cool considering that walks in most countries are very busy. 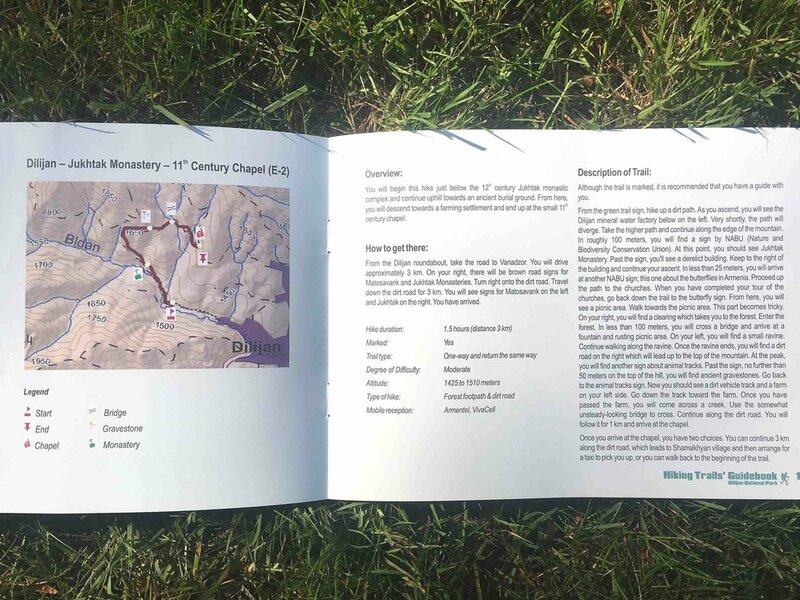 The majority of paths are very clear and some even have TCT labelling, making the trail easy to follow. Look out for Kamarin Street on the right and then take the first left up Ordzhonikidze street. This road will take you close to the start of the trek. Be aware that it’s uphill and will take around 20 - 30 minutes. When the road ends, turn right and you’ll spot yellow gas pipes snaking around the road like a frame. Keep walking upwards until the road becomes a dirt track, you’ll spot a tired looking sign that marks the start of the walk, with the hike starting on the left. Walk for a few km passing picnic benches and farmland, the trail is actually a road used by agricultural vehicles and jeeps so it’s easy to follow. That said, you must leave the road when you see a very small pond on the left, next to one of the farmers dwellings. We were lucky the lady in the farm pointed us the way, it was easy to miss so keep your eyes peeled. The trail heads right as you arrive at the farm with the pond and it passes upwards following a dry ravine. Keep walking up until you see a well trodden trail develop on the left, it may also be found on Maps.Me (but I don’t remember checking). Once you’ve found the trail you will follow a well established path, follow it for about an hour or so; you’ll see TCT signs stapled to the trees the whole way, it’s very clear. When you reach a rocky stream you should follow it along o the left and take the established path up on the right. You’ll see that some people have clambered up the steep ledge, which we didn’t fancy! The trail will pass through sparse forests and zig zag upwards, opening up at a large open plain with an awesome view of the mountain ahead that you’re about to climb. Continue along the jeep tracks ahead of you, until you get to the base of the mountain. The next bit is pretty obvious, climb the beast ahead of you. There’s no one way to climb up, we walked up the centre path and then up to the left and followed the ridge to the top. There’s a trail of sorts but you can easily freestyle. It was chilly at the top so we had a quick lunch break and then carefully walked down the long grasses to find the well trodden path leading back to Dilijan, it was a clearly marked trail that the farmers still use. 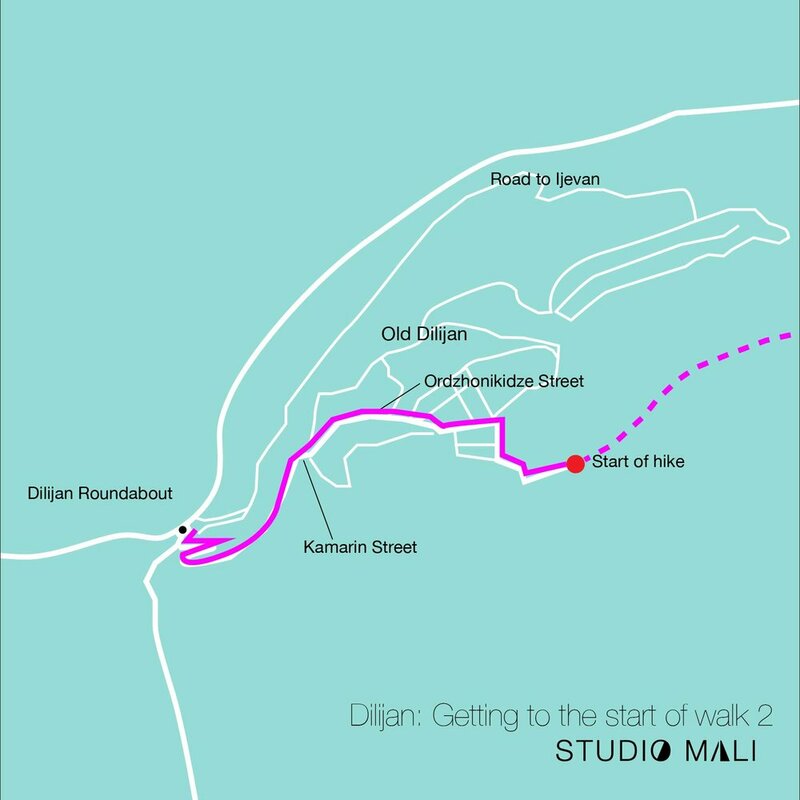 You’ll walk for around an hour or so downwards, remember to check Maps.Me to make sure you’re walking towards the Old Dilijan start point, you can see the entire loop on the app. 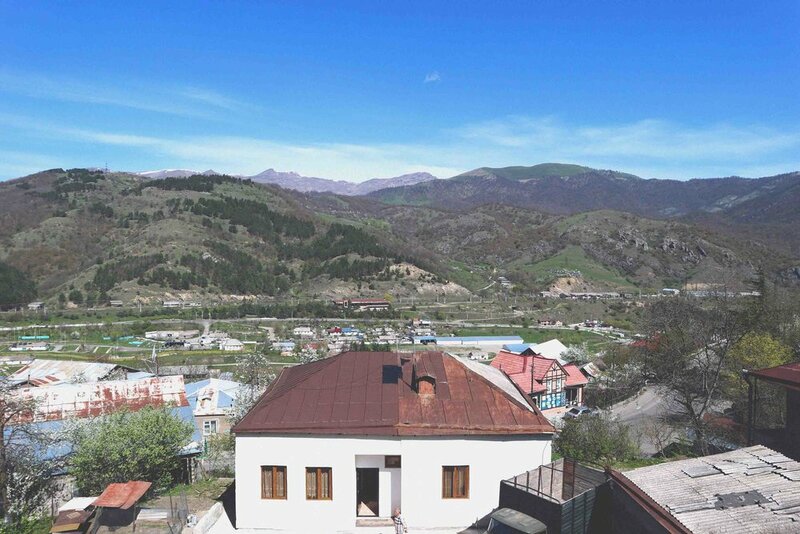 With Dilijan in view the whole way it’s easy to navigate a route back to the town and you’ll get a nice vista too. Success! You’ve arrived back in town, why not celebrate with some food in the lovely cafe no.2 near the roundabout? Did you find our hiking advice useful? 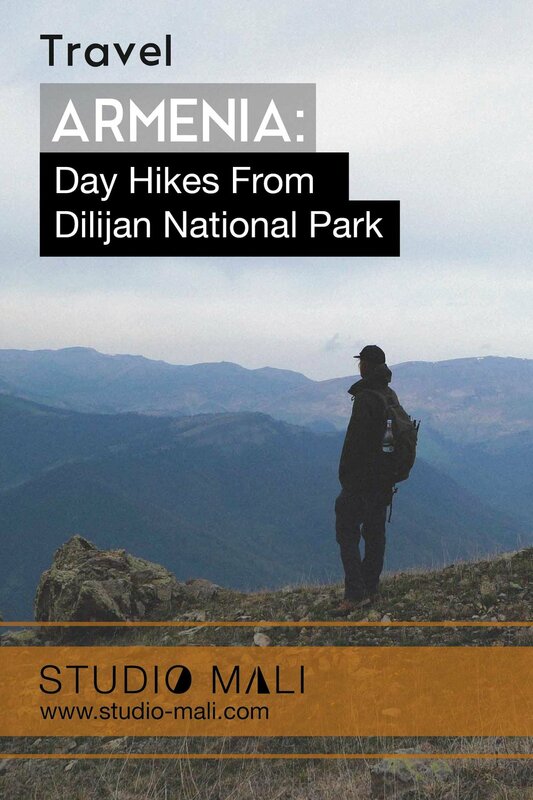 Or perhaps you discovered your own trekking route in Dilijan? Have some top tips that you think we missed?